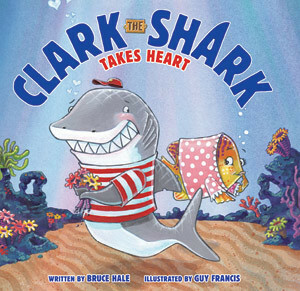 Clark the Shark lives life loud — except when it comes to girls! It’s Angela Angelfish’s birthday, and Clark wants to find the perfect present for her to show her how he feels. But when he tries to make a big impression with his usual zip, bang, and BOOM, things don’t go quite as planned. With help from his best friend, Joey Mackerel, Clark the Shark learns that when it comes to showing you care, something thoughtful and small could be the best of all.